Welcome to 747 28th Ave. 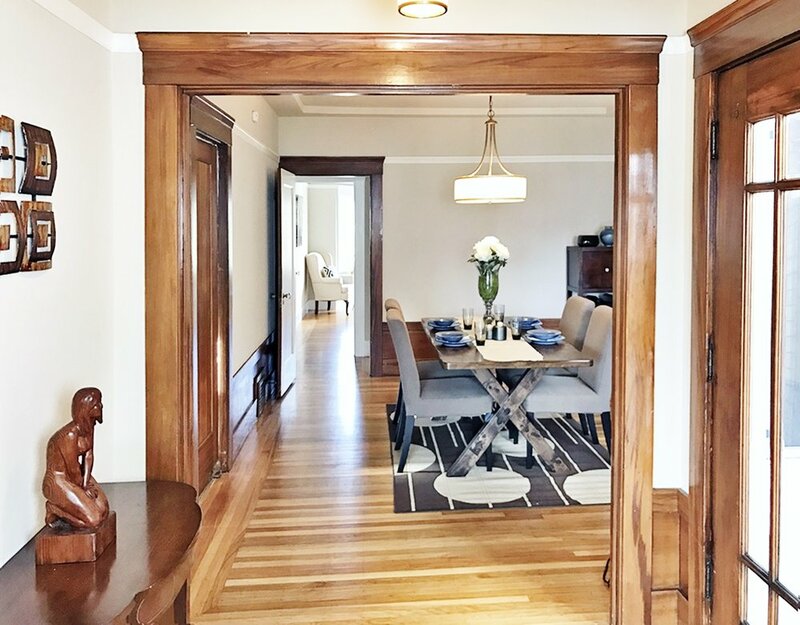 This central Richmond district, Marina style home features 2 large bedrooms with bay windows, 2 full baths, original hardwood floors throughout, and huge backyard. Enter the living room with original wood details, wood burning fireplace with built in cabinets. Large street facing windows flood this space with natural light. Down the hall are 2 large bedrooms with bay windows and 1 full bath. The hallway opens into a formal dining room and updated spacious kitchen with ample cabinets space, granite counter tops and stainless steel appliances with tiled floors. The lower level provides an additional full bath, bonus room, 2 car tandem parking, plentiful storage space and access to the beautiful landscaped rear yard perfect for barbecuing and entertaining. 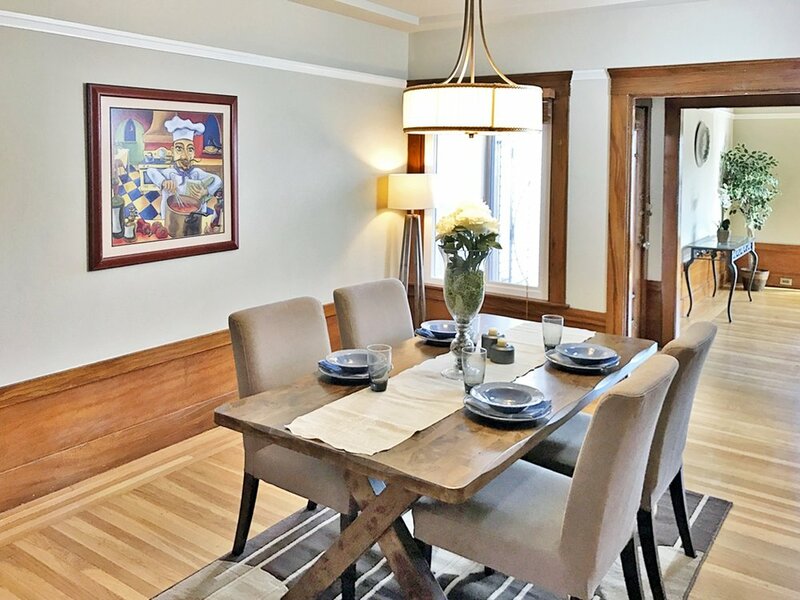 This home is conveniently located within walking distance to Golden Gate Park, shopping, dining, and entertainment. Public transportation is 1 block away for quick access around the city.